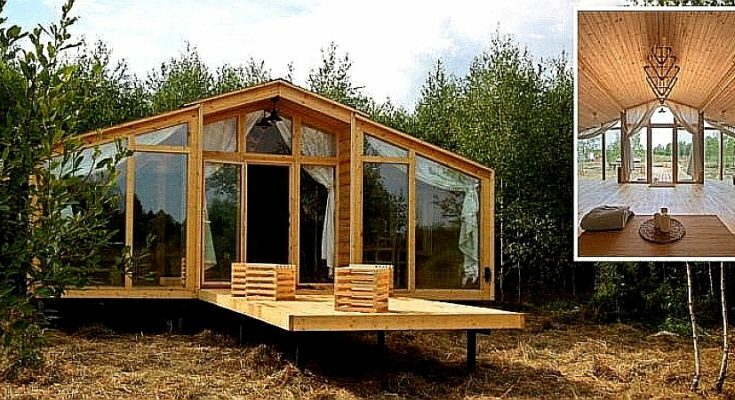 For those of you exploring the options in modular home design styles and plans, you might want to take a look at this one. 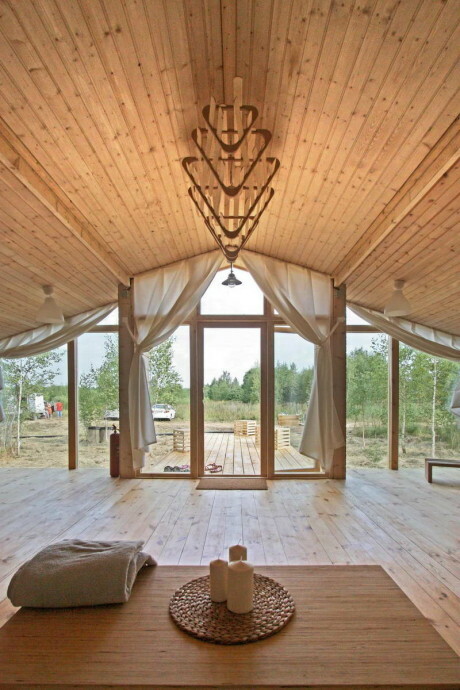 The entire prefab house is pretty much surfaced with 2×4 wood, and to a nice effect. 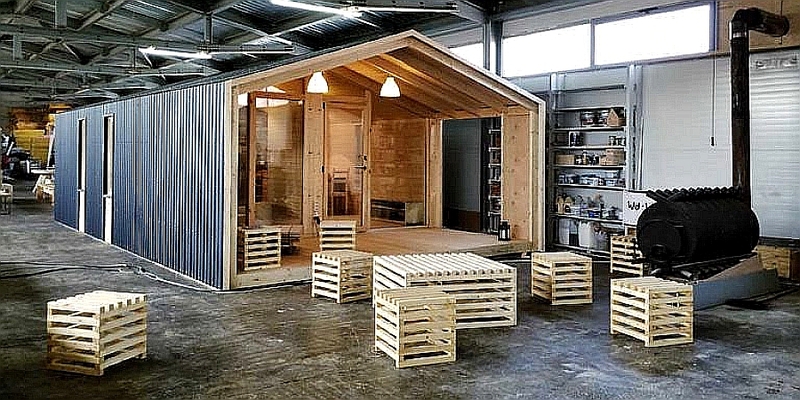 Very woodsy, yet very clean rustic modular design. This modular was designed by BIO architects to be transport-ready and installed on site in one day. The design is comprised of two modules with a central insert which creates two separate rooms, and the overall height is over 3 meters. There are a large number of options for the modular home interior. The design also shows an aesthetic principle of openness on the side of the main facade (all those windows in the photo above). And it has a large terrace where guests can spend time in the summer (also in top photo). 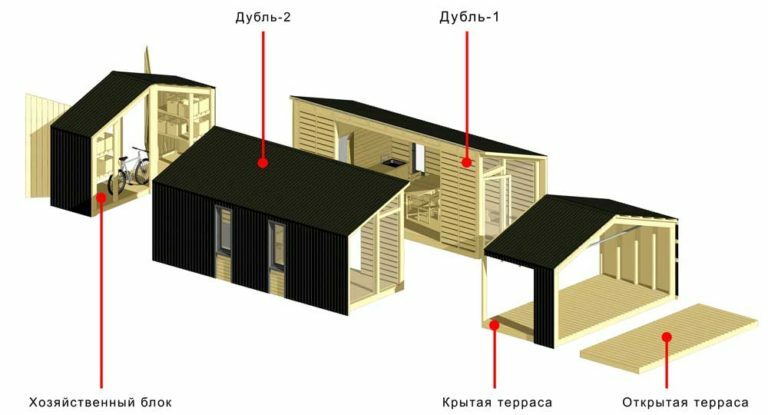 These designers are out in Russia — their called the BIO architects, and it’s a fellow named Ivan Ovchinnikov behind the modular home design here. The prefab structure is called the DublDom-40 (which translates to Double House 40) (click here for their website — not in English though). 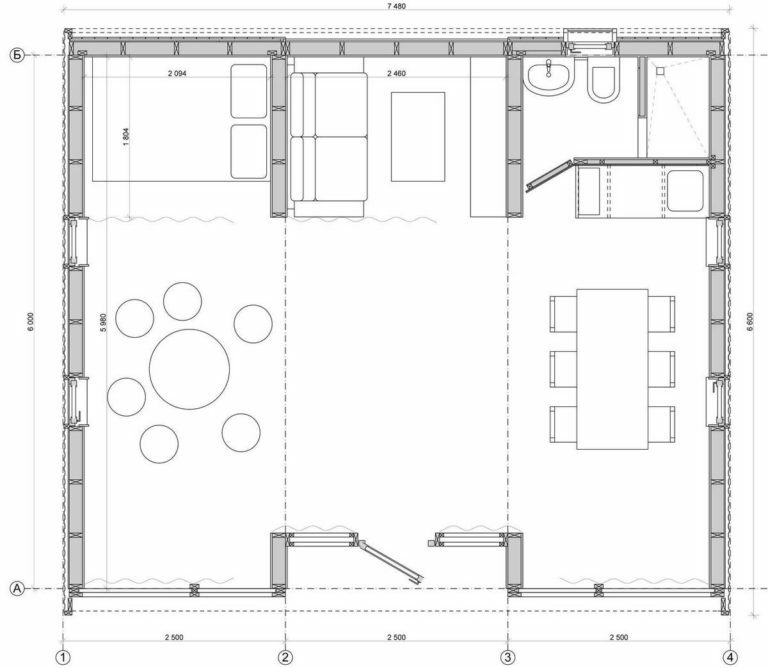 The total area of this modular home is 40 meters square. So if you’re in Russia you could look into these guys. But I know most of you are not. I posted this one for you all mostly because it was a nicely presented small – medium sized modular home with a rustic cabin sensibility. You might want to check out some North American or European prefab home builders to if they have something similar.